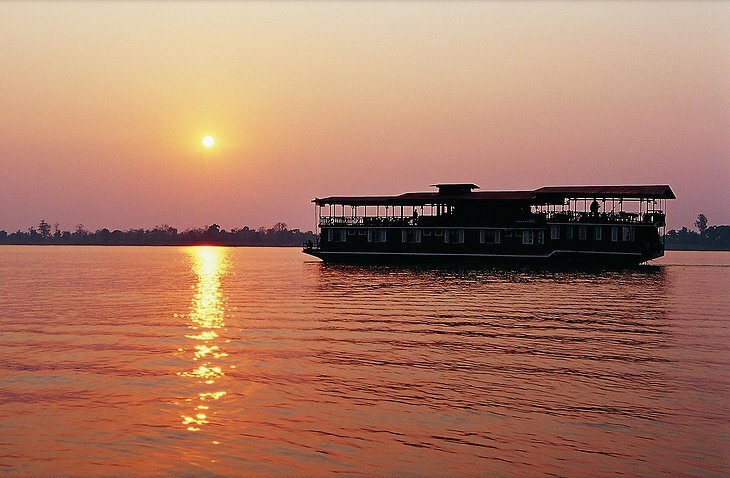 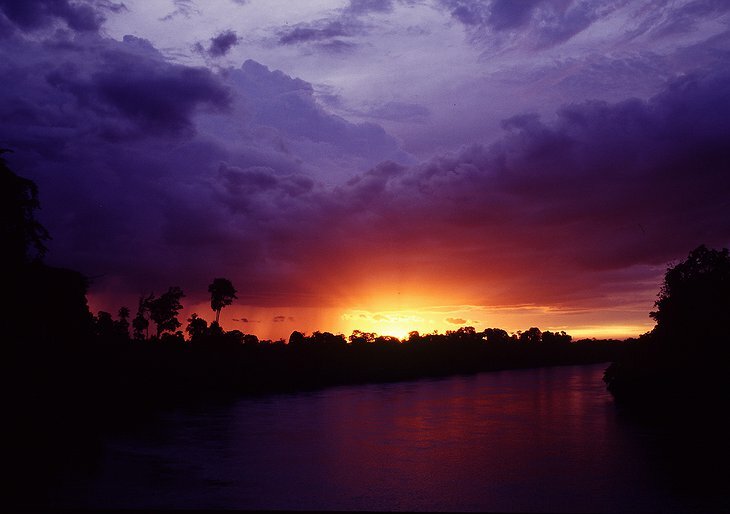 The Mekong River is the 12th longest river in the world. It begins in Tibet and flows through six countries all the way to the sea. In section that flows through Laos, barges have long been used on the river as the main source of transportation for traders and travelers in the region. 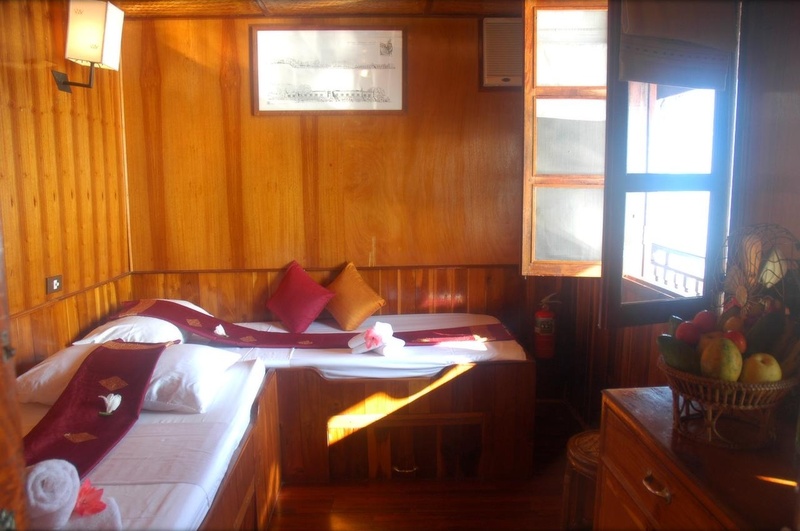 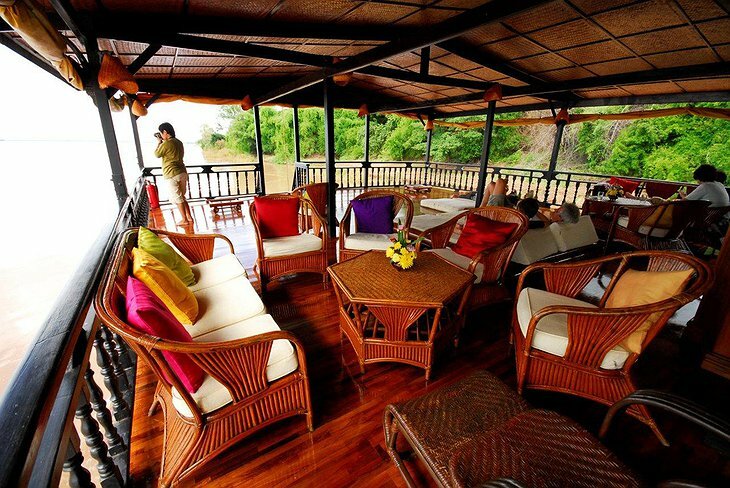 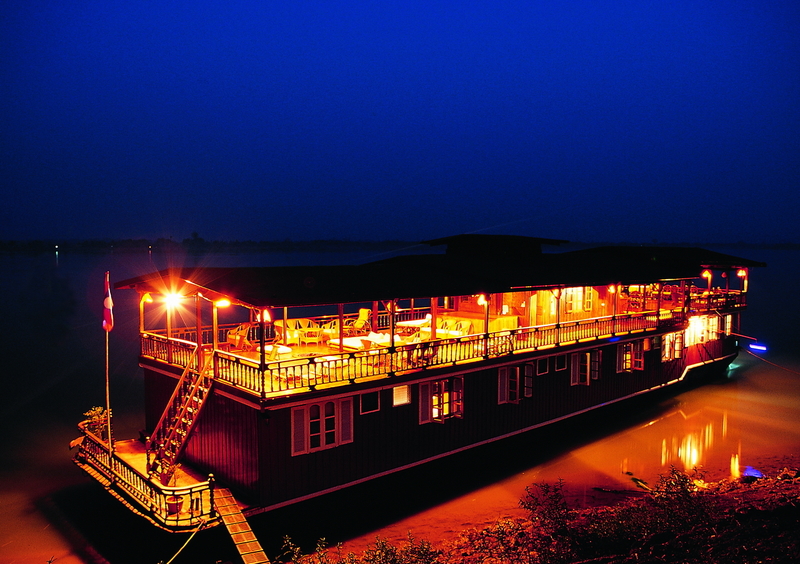 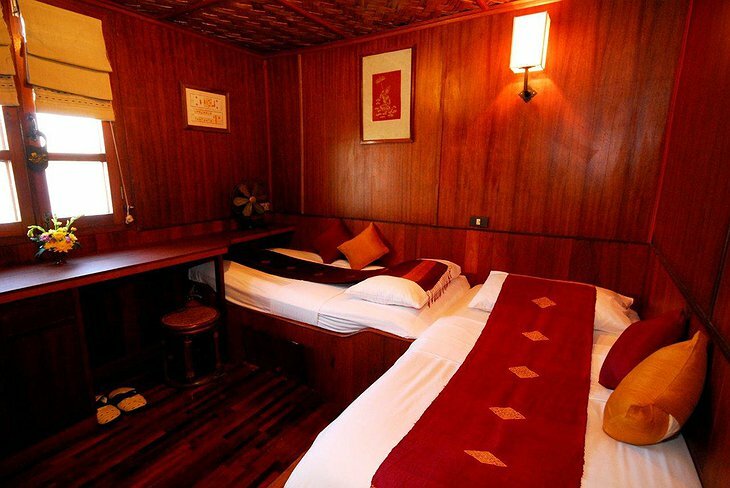 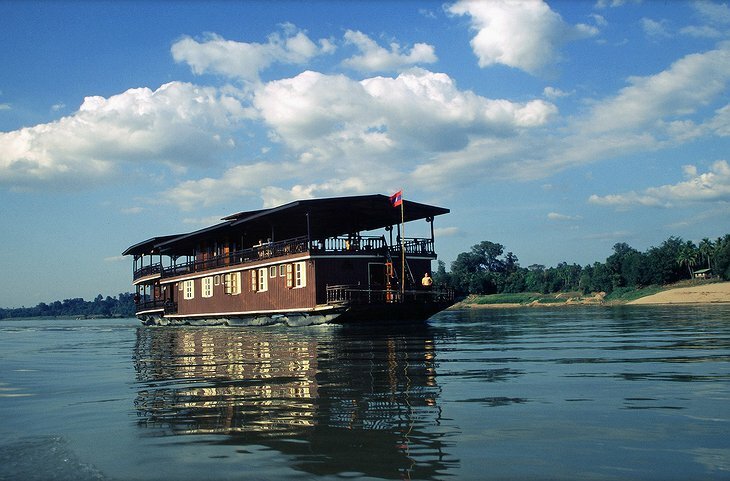 The Vat Phou Boat is one such barge; now converted into a hotel. 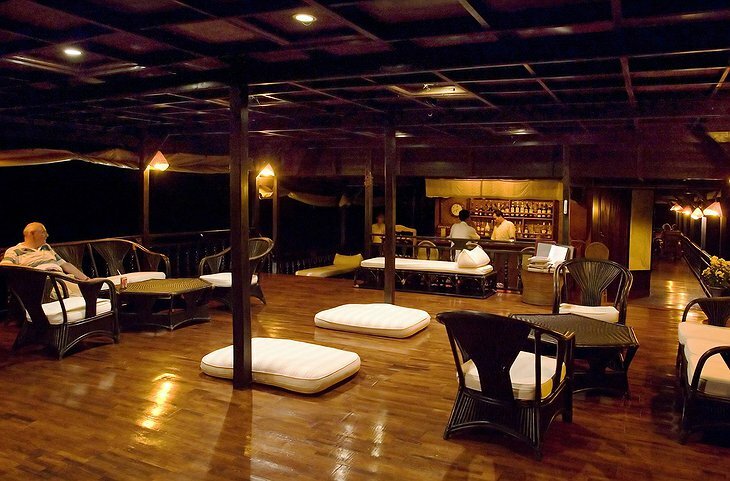 The original design has been preserved and the interiors have decades of hospitality running through them. 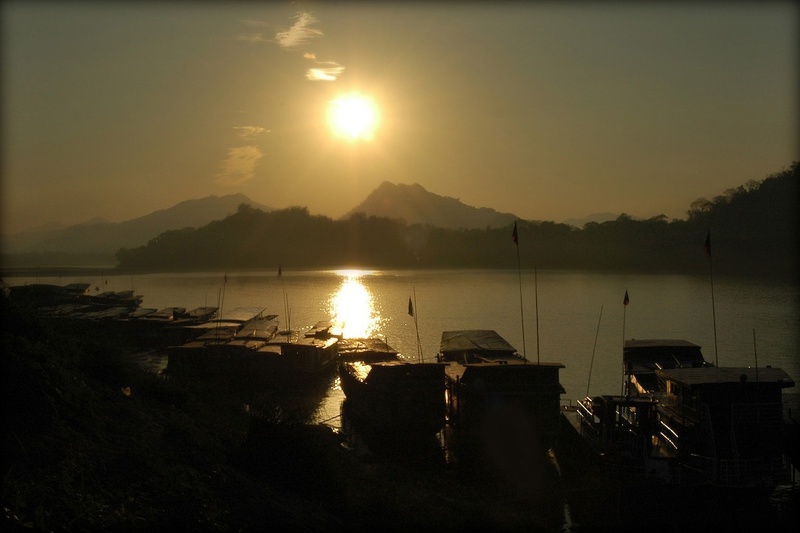 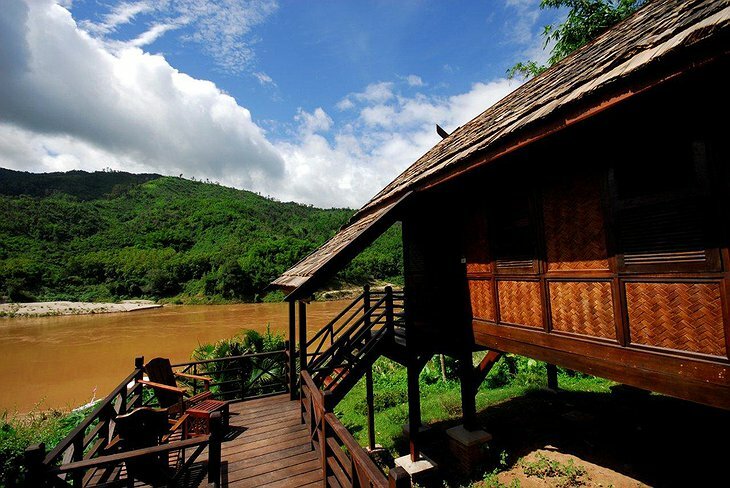 The hotel itself picks you up in Pakse and travels downriver to some of the great sites in Laos. Vat Phou is an ancient Hindu temple built on the summit of a mountain. Its ancient carvings and frescos are currently being restored. 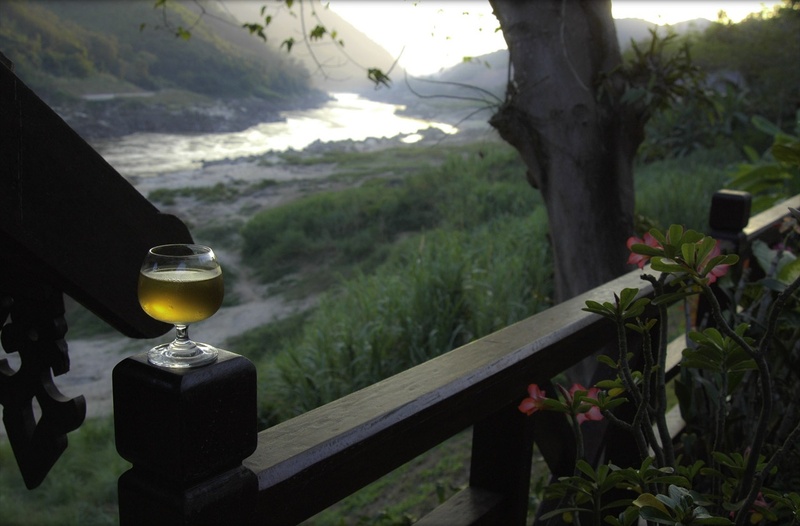 Back on the boat, you can enjoy a bottle of indolence and drink in the sites of the golden land as it passes you by on the banks of the river. After stopping at another mysterious ancient temple, it’s on to the ‘4000 Islands’. 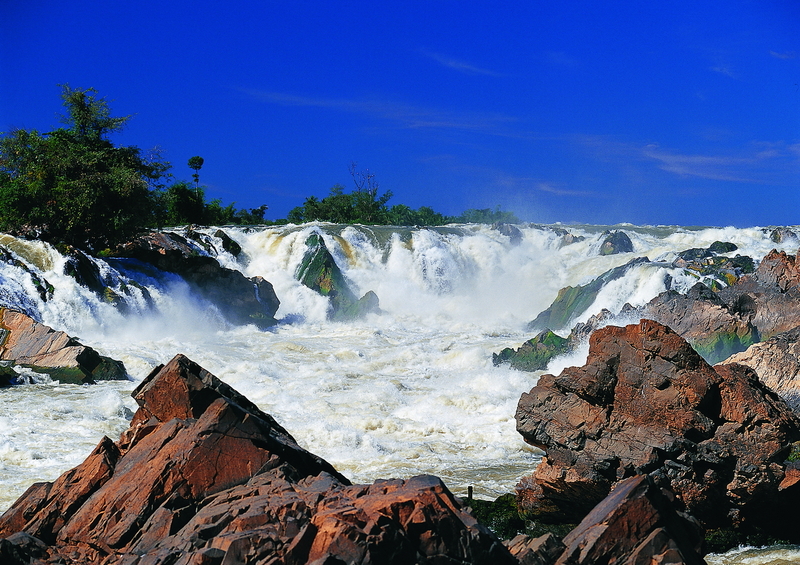 A natural phenomenon where beautiful parks are created by the river as it frays and unravels into a thousand tributaries. 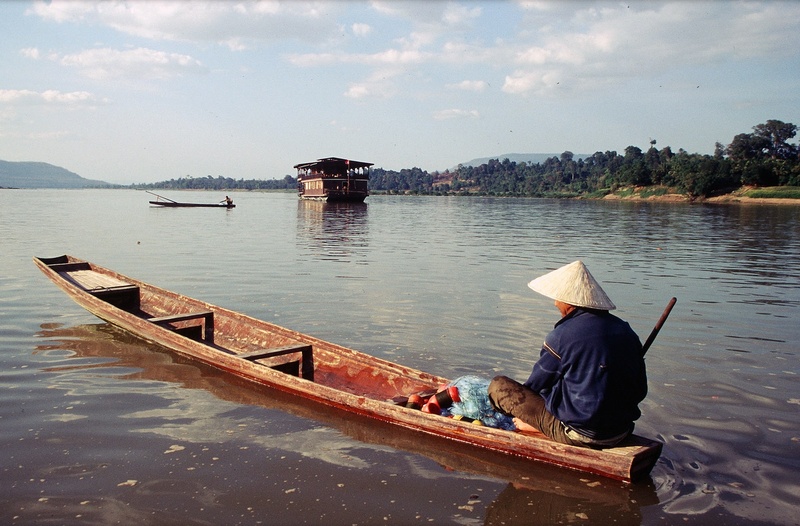 You will have the chance for excursions into this fascinating region before being taken back to Pakse; back to the world of dreams.